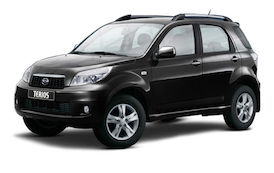 Terios SUV is a stylish and powerful car, which also has high comfort rates. 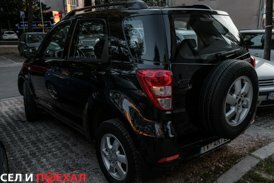 For its composition, this double Toyota Rush is very economical: only 9.7 liters in city conditions, 7 liters on the highway and 7.9 - with a mixed cycle. In this case, Daihatsu Therios is able to accelerate to 180 km / h. Automatic transmission.